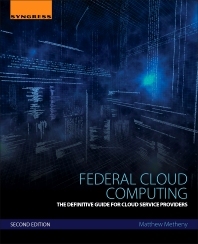 Federal Cloud Computing: The Definitive Guide for Cloud Service Providers, Second Edition offers an in-depth look at topics surrounding federal cloud computing within the federal government, including the Federal Cloud Computing Strategy, Cloud Computing Standards, Security and Privacy, and Security Automation. You will learn the basics of the NIST risk management framework (RMF) with a specific focus on cloud computing environments, all aspects of the Federal Risk and Authorization Management Program (FedRAMP) process, and steps for cost-effectively implementing the Assessment and Authorization (A&A) process, as well as strategies for implementing Continuous Monitoring, enabling the Cloud Service Provider to address the FedRAMP requirement on an ongoing basis. This updated edition will cover the latest changes to FedRAMP program, including clarifying guidance on the paths for Cloud Service Providers to achieve FedRAMP compliance, an expanded discussion of the new FedRAMP Security Control, which is based on the NIST SP 800-53 Revision 4, and maintaining FedRAMP compliance through Continuous Monitoring. Further, a new chapter has been added on the FedRAMP requirements for Vulnerability Scanning and Penetration Testing. Matthew Metheny, PMP, CISSP, CAP, CISA, CSSLP, CRISC, CCSK, is an Information Security Executive and Professional with twenty years of experience in the areas of finance management, information technology, information security, risk management, compliance programs, security operations and capabilities, secure software development, security assessment and auditing, security architectures, information security policies/processes, incident response and forensics, and application security and penetration testing. Mr. Metheny is the Chief Information Security Officer and Director of Cyber Security Operations at the Court Services and Offender Supervision Agency (CSOSA), and is responsible for managing CSOSA’s enterprise-wide information security and risk management program, and cyber security operations. Prior to joining CSOSA, Mr. Metheny was employed at the US Government Publishing Office (GPO), where he led the Agency Governance, Risk Management, and Compliance (GRC) Program and served as the Agency subject matter expert for cloud security, responsible for evaluating service provider solutions against federal and industry security standards and integrating Agency and service provider security services. Mr. Metheny was the founder and instructor at CloudSecurityTraining.com, a business unit of One Enterprise Consulting Group, LLC, which was an approved training partner with the Cloud Security Alliance (CSA). 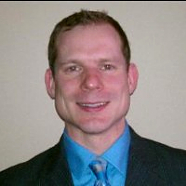 He was also the Co-Chair for the CSA CloudTrust Protocol (CTP) Working Group, a Founding Member and Member of the Board of Director for the CSA-DC Chapter which was CSA’s Federal Cloud Center of Excellence, and a Founding Member of the OpenStack DC user group focused on expanding the knowledge of OpenStack within the Washington, DC metro area. Mr. Metheny received a Bachelor’s degree in Computer and Information Science from the University of Maryland University College and a Master's degree in Information Assurance from University of Maryland University College. He also holds the Certified Information Systems Security Professional (CISSP), Certified in Risk and Information Systems Controls (CRISC), Certified Secure Software Lifecycle Professional (CSSLP), Certified Information Systems Auditor (CISA), Certified Authorization Professional (CAP), Project Management Professional (PMP) and Certificate in Cloud Security Knowledge (CCSK) Certifications.